V12 sereis 3 Exhaust ..straight or std? #1 V12 sereis 3 Exhaust ..straight or std? 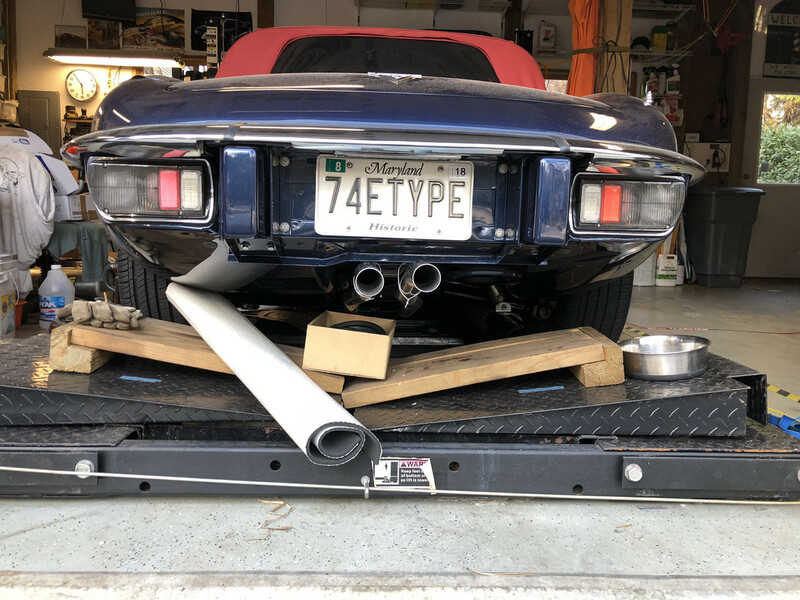 I have a 1971 series 3 2+2 FHC e type and in the process of rebuilding the rear brakes and suspension, in removing the exhaust i discovered holes!!! so looking at a stainless steel replacement... i have choices! .. either a standard with standard silencers or one with straight through centre boxes with only minimal silencing... part of me want to keep original, but there's curiosity as to what effect the straight through system would have??? anyone done this or got any first hand experience? #2 Re: V12 sereis 3 Exhaust ..straight or std? #3 Re: V12 sereis 3 Exhaust ..straight or std? #4 Re: V12 sereis 3 Exhaust ..straight or std? #5 Re: V12 sereis 3 Exhaust ..straight or std? #6 Re: V12 sereis 3 Exhaust ..straight or std? The best arrangement I have found, and the cheapest, is standard Jag mufflers, then straight pipes from there. Get rid of the resonator under the trunk....does nothing. Nice, but still subdued sound, performance the same, and your done with the rust prone resonator. Go on line and find a fashionable pair of exhaust tips. 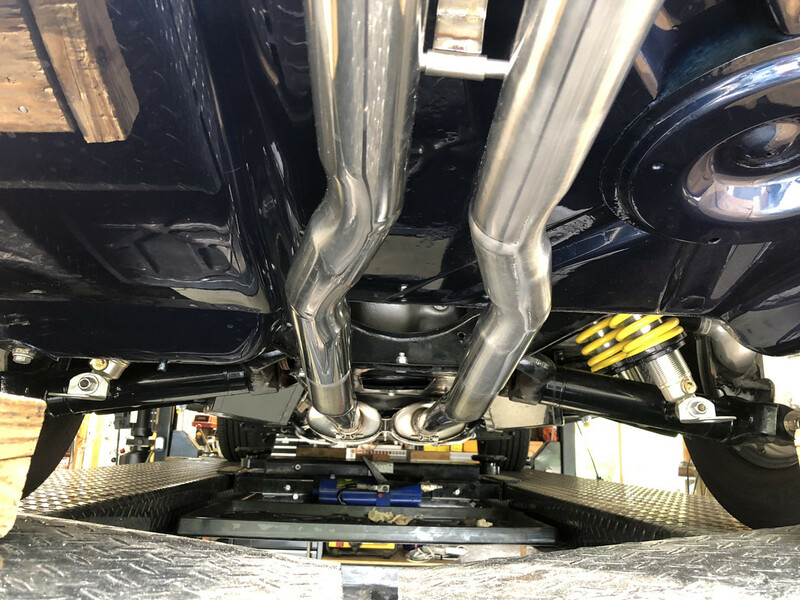 Any good muffler shop can make the pipes. #7 Re: V12 sereis 3 Exhaust ..straight or std? .. part of me want to keep original, but there's curiosity as to what effect the straight through system would have??? The sounds is so much better than the full Bell system and you can opt for straight ends or have them bend like the S1 and S2 tail pipes. The guy that bend my pipes wasn't observant enough with the angles, but that will be rectified. #8 Re: V12 sereis 3 Exhaust ..straight or std? Hi thanks for the advice, im starting to think that way, but want to keep the 4 pipe fan tail so looks original so may get a 2 into 4 final piece made also to keep that original look....or just connect to 2 of the fantail pipes!!! might be cheaper! #9 Re: V12 sereis 3 Exhaust ..straight or std? A complete stainless system is quite noisy anyway as the original mild steel pipes were partly double skinned if I remember rightly. #10 Re: V12 sereis 3 Exhaust ..straight or std? thanks that was the conclusion i was coming too, looking at buying parts added up to more than a whole system (crazy)...so just took delivery of a complete Bell SS system ... just got to put rear cage etc. back in..after fitting new ebc brake discs etc and extending my brake pipes to make bleeding easier..... only transmission sump gasket to replace then exhaust can go on....keeps me out of trouble! !